Many folks in our Lodi community experience dry mouth occasionally. Some develop dry mouth in social situations or when they are under a lot of stress. Sporadic or infrequent dry mouth is usually not a problem. Constant dry mouth, or xerostomia, is not only irritating, it can lead to severe health problems. Lodi people should not take their saliva for granted. Your saliva plays a very important role in maintaining your health. One of its roles is to help digest your food. The moment food enters your mouth, saliva starts breaking it down so your body can metabolize it. If you don’t produce enough saliva to perform this task your body may not be getting important nutrients needed to stay healthy. Saliva also functions as a disinfectant by cleansing the mouth of leftover food, bacteria, and fungi. This helps prevent tooth decay and infections. Many Lodi residents don’t realize that many of the foods we eat are very acidic and our saliva helps counteract those acids in our mouths. We are Drs. Neal and Hoff. At The Lodi Dentist, we have been treating xerostomia since 2013. We recommend cutting back on caffeine in such drinks as cola, coffee, and tea. Not only do these beverages stain and discolor your teeth, the caffeine can contribute to dry mouth. We also recommend drinking water throughout the day to make sure you are adequately hydrated. Tobacco and alcohol can also contribute to dry mouth. 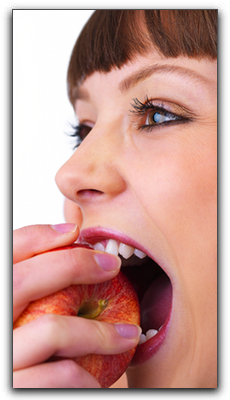 Consult your Sacramento physician if you are taking medication that is causing your dry mouth. Looking for a gentle family dentist who focuses on preventative dentistry or a skilled cosmetic dentist adept at smile design? We invite you to come visit our practice at 1104 S Fairmont Ave in Lodi. Our team of dental professionals at The Lodi Dentist make sure you have a pleasant experience whether you visit us for a cleaning and exam or complete smile makeover. Hi. We’re Drs. Neal and Hoff, and we’ve been practicing dentistry in Lodi since 2013. One of our favorite things about being a dentist is seeing how our Lodi area patients find renewed confidence in themselves after a smile makeover. If you’ve ever wanted to improve your smile, call us today at (209) 269-8259 so we can talk about your cosmetic dentistry options. There have been numerous advances in the field of cosmetic dentistry in recent years and you may be surprised to find out what your Lodi dentist can do for your smile. Teeth whitening is a common procedure in Sacramento dental offices, but the results can be dramatic! Brighter teeth can be the centerpiece of your new, youthful look. 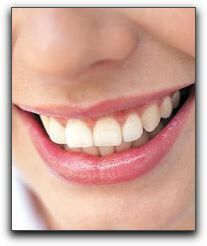 Veneers are designed to cover the front of the teeth and are custom-made for each individual patient. These are useful for Lodi patients who have broken or chipped teeth, stained teeth, or gaps between teeth that they would like to hide. Enamel shaping, bonding, and braces are other important procedures that can be used to help your teeth look their best. So, why wait, Sacramento? Now is the time to get the smile you’ve always wanted, and we’re here to help. The patient-centered staff here at The Lodi Dentist would love to answer any questions you have about these cosmetic dentistry procedures as well as bridges, crowns, and general oral health. Hello, We are Drs. Neal and Hoff. Whether you are a local Lodi dentistry patient, or a blogosphere visitor, welcome to our dental blog. Our dental practice is called The Lodi Dentist and is located at 1104 S Fairmont Ave in Lodi California. Since opening our Lodi cosmetic dental practice, we have seen a lot of changes in dental techniques and tooth restoration materials; however, our commitment to the highest quality of care and personal attention to our patients has not changed. At The Lodi Dentist, our patient-centered staff and we provide a full menu of preventative, restorative, and cosmetic dental services. If you are looking for a gentle kid-friendly pediatric dentist or a smile design specialist, we invite you to schedule a consultation. We work hard to make each visit as quick and pleasant as possible. Some of the services we offer are cosmetic dentistry, general dentistry, tooth-colored fillings, porcelain veneers, safe tooth whitening, and invisible braces. Ask us about sealants, dental implants and complete smile makeovers. You can find more information about our services at https://www.thelodidentist.com/dental-services/. 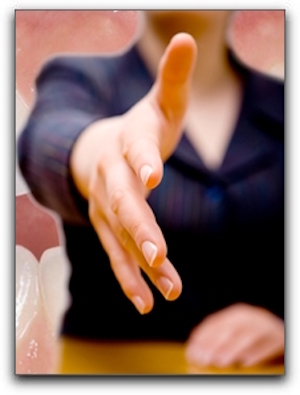 If you have California dental insurance, call our office to see if we are contracted with your provider. If you don’t have dental insurance, call us at (209) 269-8259 for information on our rates and smile makeover financing options. Budgeting for regular cleanings and checkups can ensure a healthy and beautiful smile for life. Lodi cosmetic dentistry is part science and part art. We’re Drs. Neal and Hoff of The Lodi Dentist and we enjoy using our extensive dental training and specialized artistic skills to design treatment plans unique to each of our Lodi cosmetic dental clients. In order to achieve an attractive, yet natural looking result, we do much more than recommend specific procedures. We consider the shape, alignment, color and condition of the teeth. In order to create a balanced look, the facial shape and coloring is taken into account. 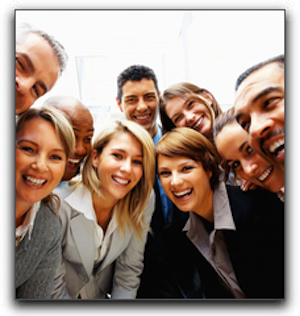 The Sacramento dentistry client’s age, health condition and lifestyle all influence the plan. At The Lodi Dentist, there is no one size fits all treatment plan. Our artistic abilities have been perfected over several years of creating smile transformations for our Galt and Lockeford cosmetic dentistry clients. We are constantly receiving the latest training in new techniques and materials. Even fairly recent cosmetic dental procedures such as teeth whitening and porcelain veneers have advanced considerably. Dental implants are a truly remarkable solution for our California dental clients who have lost one or more teeth. Welcome to the Lodi Dentist Blog!